Following the success of an extensive LED roll-out for retail stores across the U.K, One Stop Ltd entrusts Dexeco once again to provide a future-proof and sustainable lighting solution for two major logistic centres in Wakefield, West Yorkshire and Walsall, West Midlands. 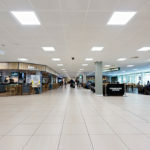 Using fewer luminaires compared to the previous system, the new installation has drastically improved lighting conditions and has reduced each site’s energy consumption by 80% with a payback period of below 2 years. One Stop Stores Limited is a leading retail convenience business with over 770 company-operated stores and 160 franchisees across the U.K. 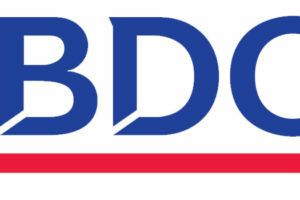 The company services its outlets from three distribution centres and a store support facility. 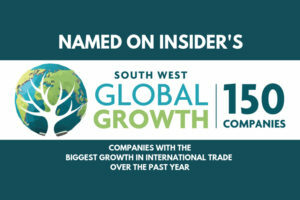 One Stop, has shown a strong commitment towards developing and maintaining a sustainable business model. 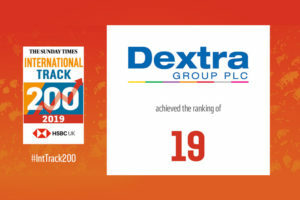 The company has been acknowledged for its efforts, winning awards for environmentally driven initiatives ranging from innovative transport strategies to pioneering bio-renewable carrier bags. Although transport is the most expected approach to reducing the overheads and carbon footprint of any logistics operation, many businesses are accessing the untapped financial and environmental potential of improving the energy-efficiency of warehouses and distribution centres. LED lighting and intelligent controls offer a simple and immediate solution for large scale retailers such as One-Stop to reach new heights in operational efficiency and improve their green credentials. 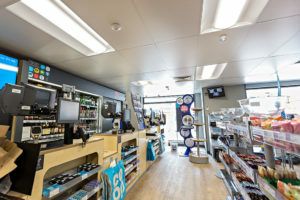 One Stop recognised this potential, and in 2015 launched its “Switch the Lights” campaign, aimed at driving down energy costs and carbon emissions of 300 stores (200 retrofits and 100 refits) via a LED upgrades. 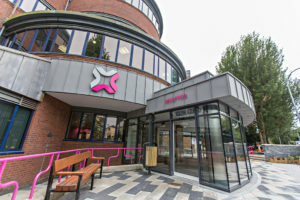 In its final phase, the programme focussed on the company’s three distribution centres in Brownhills, Nursling and Wakefield, and its Brownhills (Walsall) Support Centre. Dexeco’s contribution to the campaign was extremely well received. 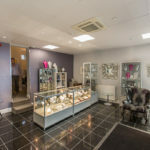 The successful lighting project allowed the business to mitigate rises in energy prices and perform highly in policy-driven environmental schemes. 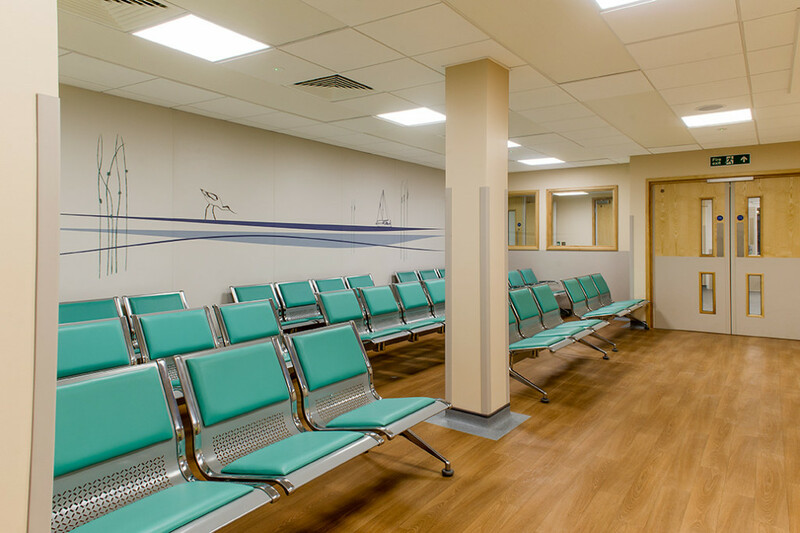 By using U.K-manufactured LED luminaires and smart controls included in the government’s Energy Technology List (ETL), the approved lighting designs helped secure a £50,000 grant for the project to accompany One Stop’s sizeable investment. Furthermore, the products included in the ETL were also eligible for the Enhanced Capital Allowance scheme, offering a 100% tax levy during the first year of purchase. 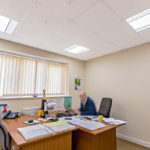 Businesses are often surprised at how convenient and cost-effective switching to LED can be, as many of the initial capital costs can be either covered through eligibility to 0% interest loans (e.g. Salix Energy Efficiency Loan/Fund)), government grants, tax incentives (Carbon Reduction Commitment scheme) or offset by very short payback periods. Once the systems have paid for themselves through the cuts in energy and maintenance costs, the continued savings will convert into revenue that can be invested in other areas of the business. 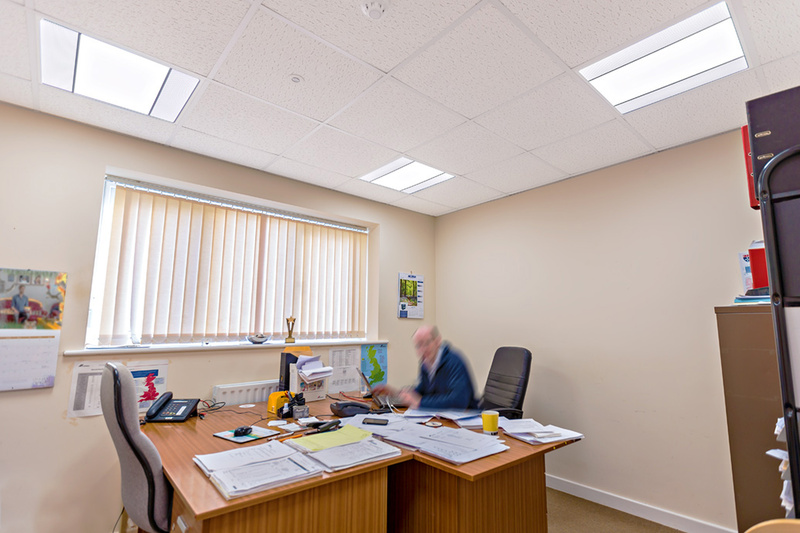 The design objective for One Stop’s 120,000 sq ft distribution site in Wakefield and Support Centre in Walsall was to improve lighting conditions at lower energy and maintenance costs. 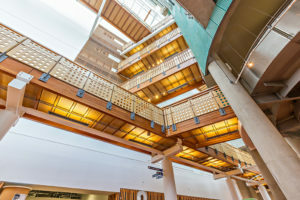 The entire project was to be completed within a tight deadline window of six weeks, which was scheduled before the company’s financial year end. 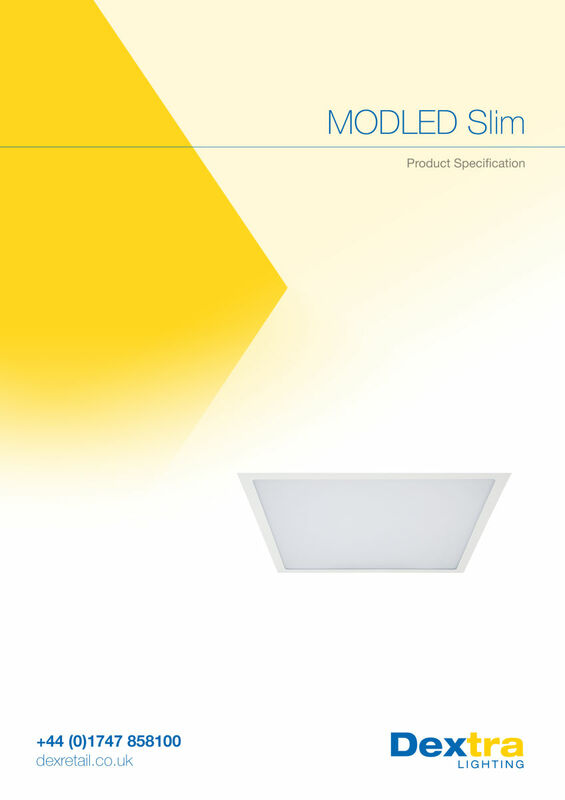 All luminaires specified would be manufactured using the latest LM80-verified LED sources to guarantee long-life, reliability and therefore minimal maintenance. 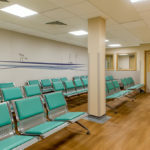 The design was aimed at reducing the lighting’s total energy load by replacing the existing fluorescent fixtures with highly-efficient LED alternatives and lower the number of luminaires needed to achieve the required light levels. 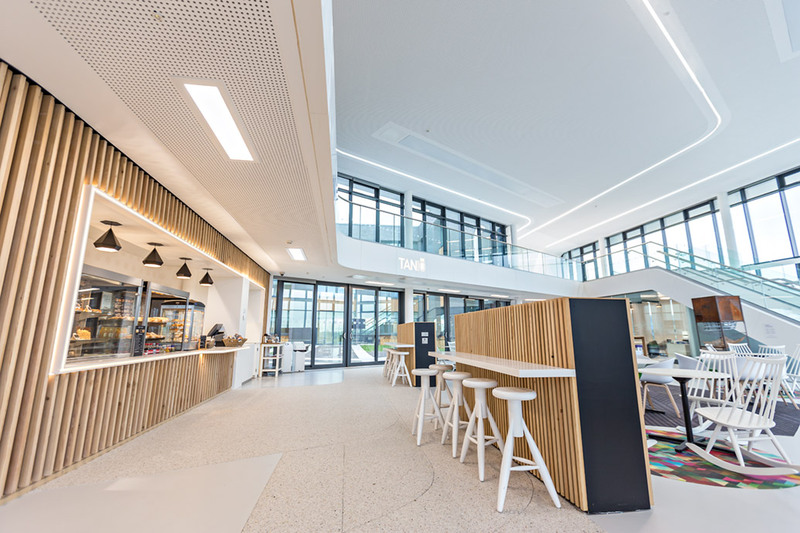 Powerful high level lighting with daylight regulating and presence detection sensors were to be installed for both daylight harvesting and adaptability to staff occupancy patterns. 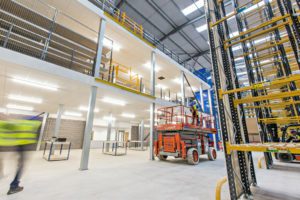 The lighting upgrade was expected to increase productivity and safety in the workplace by raising lux and uniformity levels to new standards and regulations, to support staff in activities such as picking, loading, stacking and forklift driving. 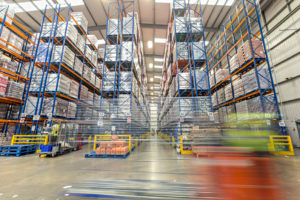 Luminaires were to be customised to provide optimal illumination levels and distribution for 12m high racking aisles, open areas for packing, low-level storage and picking zones. Installation and commissioning had to be performed quickly and promptly to minimise interruptions to service and maximise ROIs for the company. 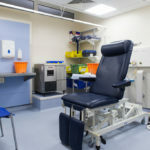 Once handed over, One Stop would be left with a turnkey solution, both easy to control and manage, without the need to call out expert technicians to re-programme the system. Dextra Group’s subsidiary, Dexreco, would take care of the disposal and recycling of all old lighting fixtures and electrical equipment in accordance to WEEE regulations. 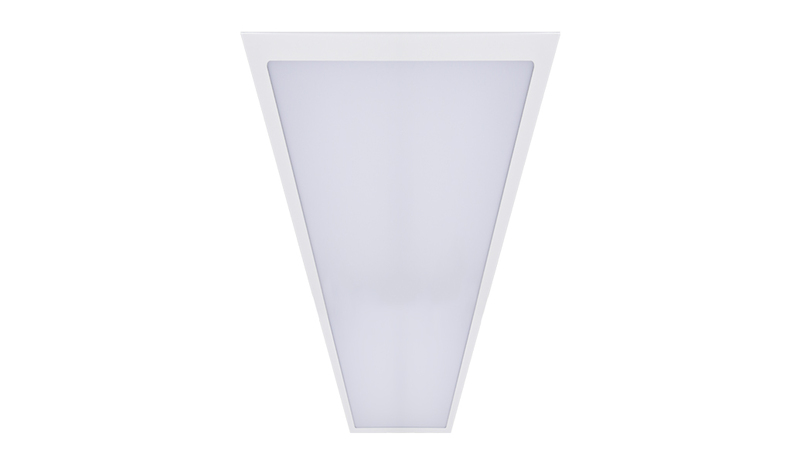 With a proven track-record for excellent performance, substantial energy savings, simple installation and versatility, the Verteco LED fully satisfied One Stop’s energy-efficiency and performance requirements. Power and control, comfort and clarity; these contrasting factors are at the core of the Verteco LED’s design. By combining the latest Lumileds LED source with high-transmission diffusers, the luminaire offers outputs as high as 27,168llm for high-level applications, providing greater light intensity without sacrificing light quality and visual comfort. A high-quality LED source, a powerful and reliable Philips driver, and efficient optic design allow the luminaire to operate at an average efficiency of 121Llm/w. Ceiling heights at both the Walsall and Wakefield sites stood at between 12m and above. 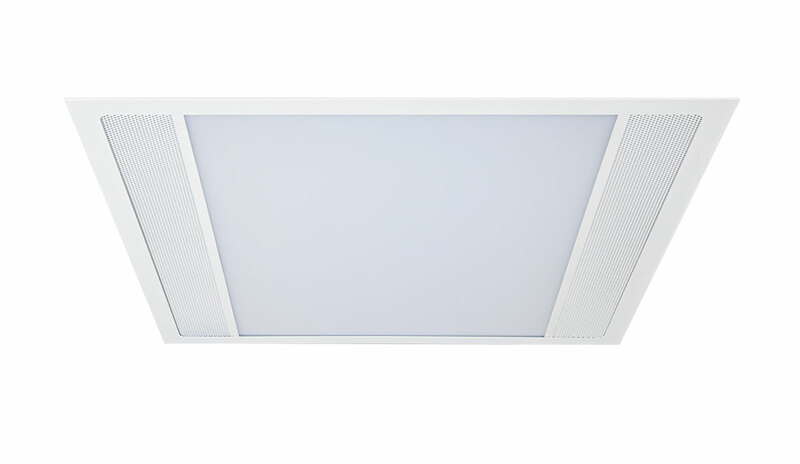 The Verteco LED was therefore able to provide a balance between brightness and glare control, allowing staff to look up the racking aisles without being dazzled and protect forklift drivers from hazardous glare. 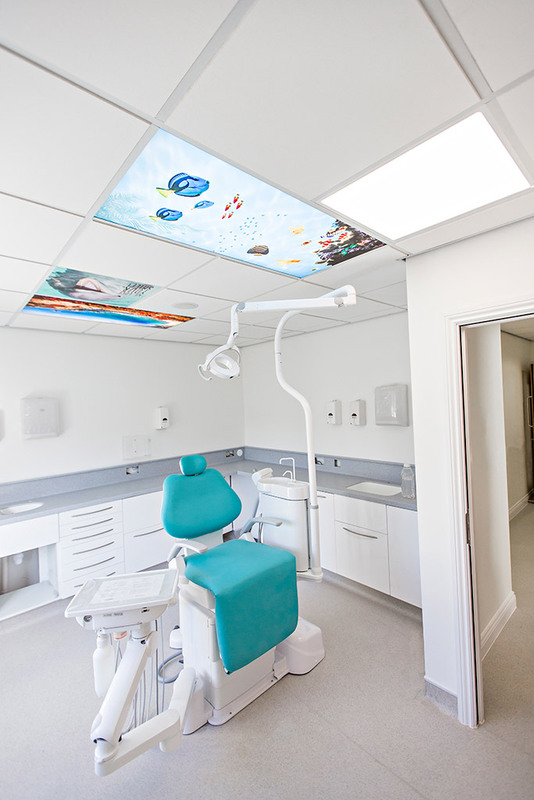 Across both sites, the Verteco LED was customised using a wide range of available options including, output packages, optic designs offering three distributions of light, and choice of three sensor lens types. For the high racking aisles, the challenge was to provide as even coverage as possible from the lower sections of the racking system to the top. 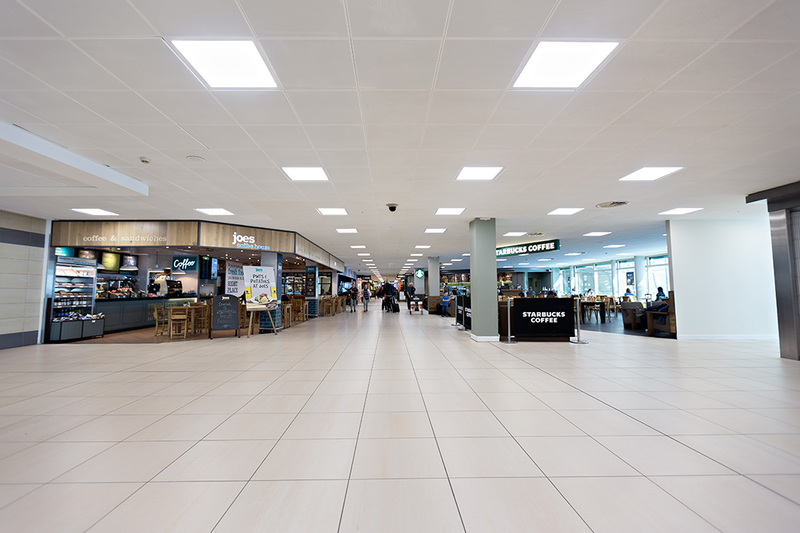 The luminaires achieved the recommended illuminance at floor level of 200lux with a high uniformity ratio, allowing staff to clearly identify, stack and retrieve goods whilst generally facilitating navigation and movement around the site. 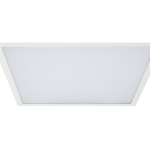 Luminaries were supplied in outputs of between 10665llm and 22413llm with High or Ultra-High Rack optics depending on the height of each site’s racking system. 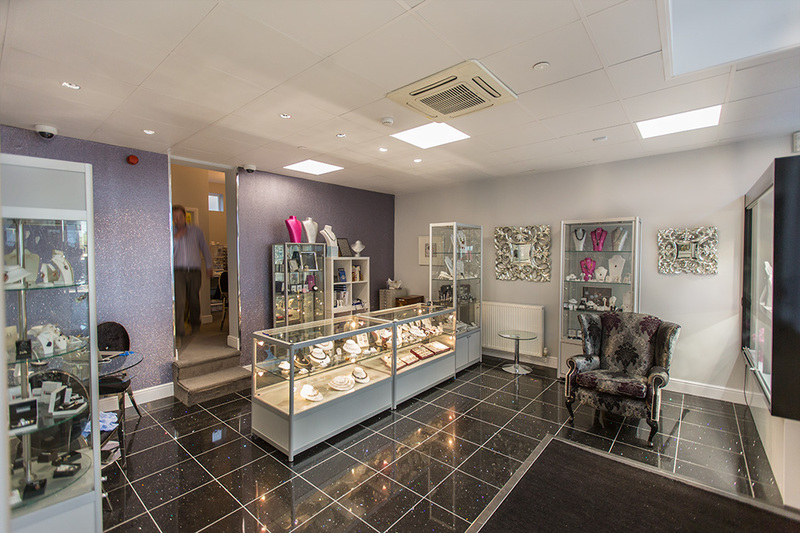 Rows of luminaires were fitted at the centre of each aisle to maximise visual clarity. 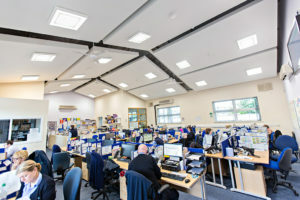 In the wide and spacious areas dedicated to packing and marshalling areas, luminaries were supplied in a high 22528llm version with an Open Area optic, allowing the installation to raise light levels to 300 lux with maximum coverage and uniformity whilst using wider and more cost-effective luminaire spacings. 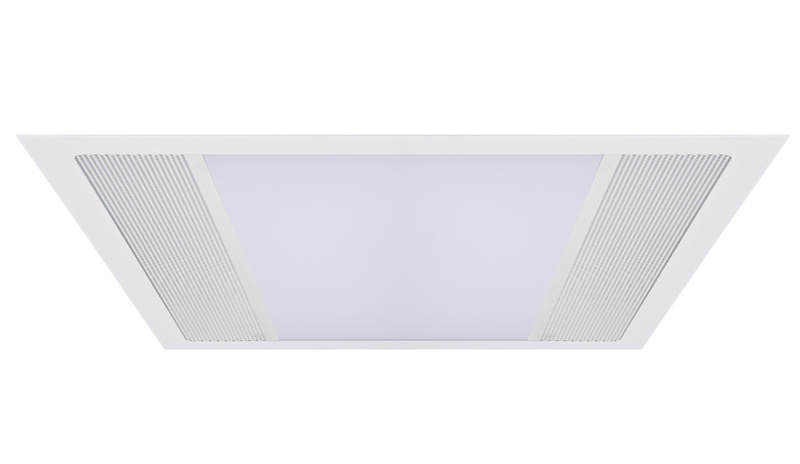 Supplied in Narrow, Wide and Ultra-Wide lens types, the Verteco LED’s integral Reacta 14 sensor matched the size and type of area in which it was installed, offering accurate and responsive detection. 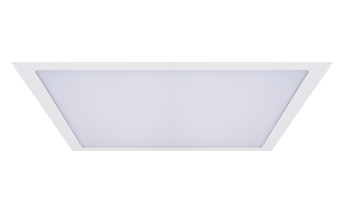 The R14 sensor operates using a DALI dimming protocol to provide daylight regulation and presence detection at heights of between 7-18m. 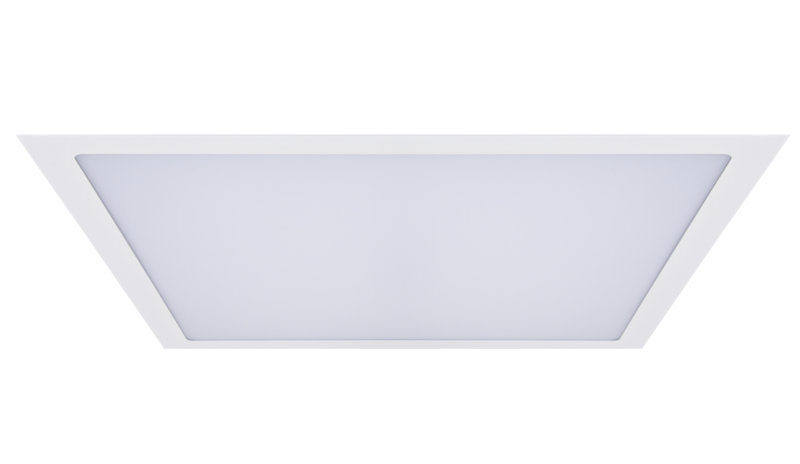 This intelligent control system now allows luminaries to harvest natural light entering from the building’s skylights, whilst maintaining optimal lux levels throughout the day by dimming accordingly. 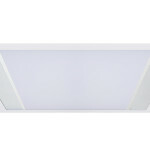 The entire network of luminaires is divided into detection zones which dim to a minimum output of 10% when vacated and rise to maximum output when staff enter the area. Combined, these functions can contribute to boosting the system’s overall energy-efficiency by up to 30%. Once installed, all programming and commissioning can be performed using the user-friendly the REA-AP remote control with a range of 25m, giving staff full control of the system without incurring expensive call out charges to implement any functional changes. 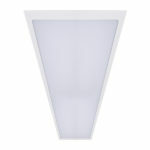 To save One-stop both time and money, the Verteco LED was delivered fully assembled and ready to install. 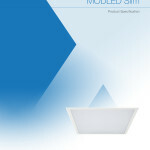 Luminaires with higher outputs and more efficient optic design also improved overall return on investment. 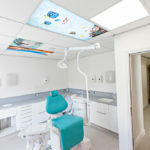 The luminaire is designed for a rapid fitting process, with its practical back flap and unique slide-out mounting brackets simplifying mounting to trunking, allowing both mechanical fixings and electrical connections to be made without any need to disassemble the luminaire. The integral sensor cut back on installation costs by avoiding the expense of modifying the existing infrastructure and wiring to fit standalone control sensors. Logistics facilities often operate 24 hours a day, 7 days a week, putting considerable strain onto the lighting system installed. To alleviate this pressure, the Verteco is manufactured using premium Lumileds 3535 HE LED chips, providing the best LED technology has to offer in terms of long-life and durability. 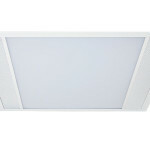 The LM80-verified source offers 90% lumen maintenance (sustained brightness) for the first 60,000 hours of operation, which means that compared to the typical lifetime of between 8,000 and 30,000 for fluorescent equivalents, the Verteco’s LED chip board will maintain the intended light output for at least double the time. 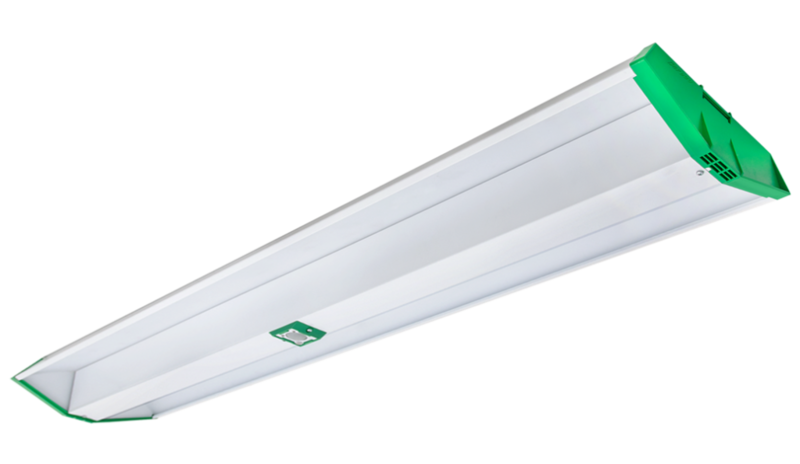 Fluorescent tubes are also more likely to fail and need frequent replacement, which at such inconvenient heights, will incur significant costs and disruptions for any logistics operation. Unlike conventional sources, LEDs do not contain filament or glass that can easily wear out over time, or be damaged by shock or vibration. Eliminating lamp replacements will also allow One-Stop to avoid accumulating disposal and recycling costs. To maximise the durability of each system the Verteco LED’s driver offers a Constant Lumen Output (CLO), which gradually increases the power to compensate for any depreciation in the LED source over time. This self-regulating feature reduces the need for maintenance even further for added return on investment. 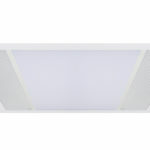 Finally, presence and daylight sensor detection will ensure that the luminaires only operate when and where needed and only at the necessary output (depending on natural light levels in the area), which will increase the longevity of the LED source. 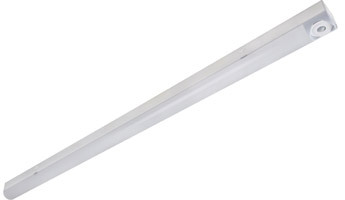 The Ecopack LED is designed to offer a highly effective replacement for fluorescent battens. 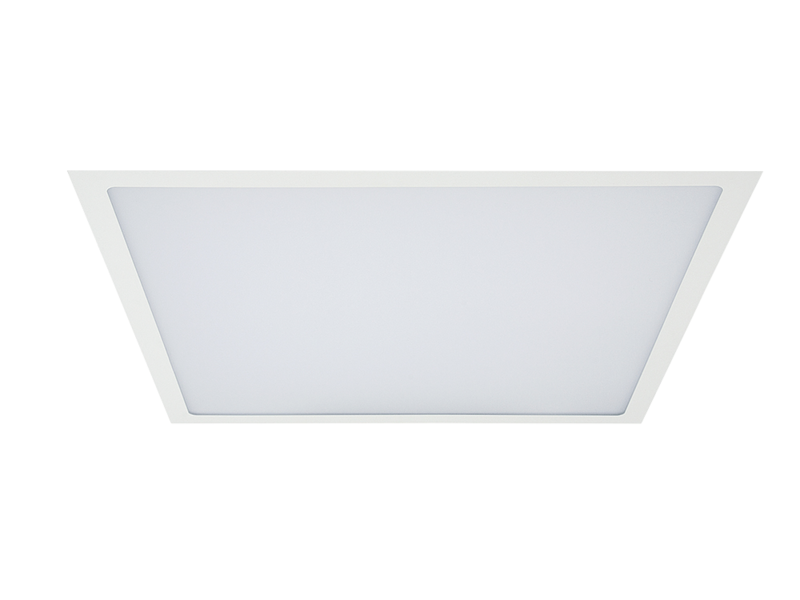 Like most of Dexeco’s LED products, the luminaire utilises the latest Lumileds sources combined with a high-transmission curved opal diffuser to provide an efficiency of up to 141Llm/w. 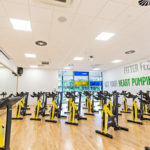 The EPK therefore, delivers the same or improved performance as the latest fluorescent equivalent with up to reductions of up to 70% in energy usage. 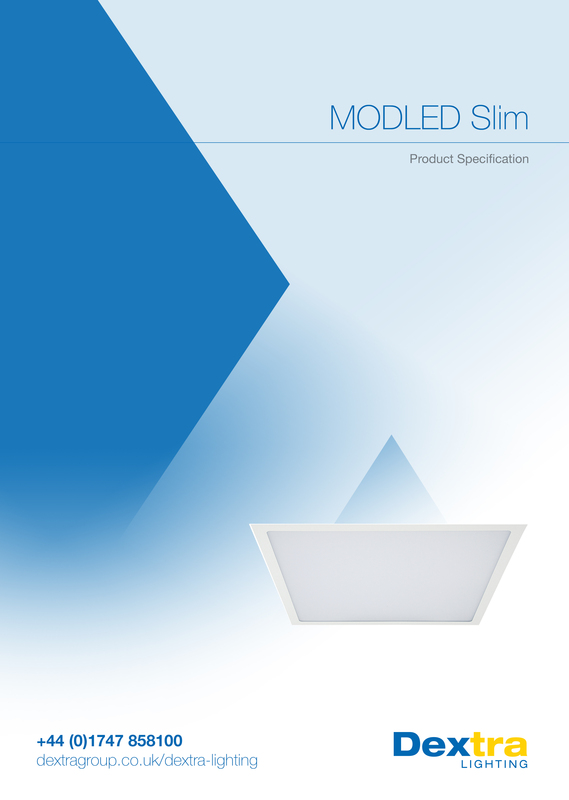 The versatile luminaire can be customised with output packages ranging from 1933llm to 8484llm across four different lengths (600mm to 1800mm). 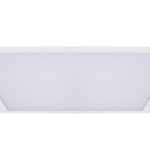 Two optic designs (High-Rack and Ultra-High Rack), offer efficient alternatives to trough or high-rack reflectors typically found in conventional fluorescent lighting. 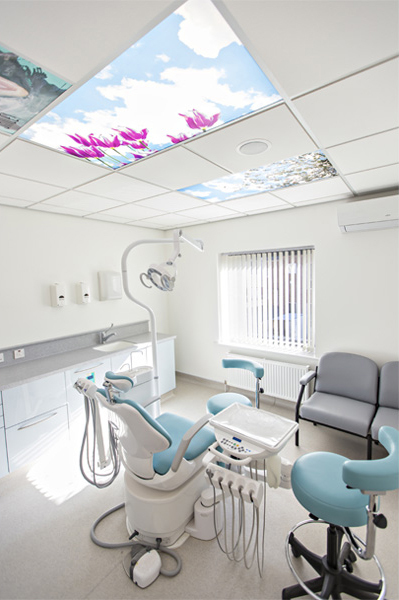 At the Brownhills site, the EPK LED was installed in a 8484llm version with standard diffuser and a 7821llm output variant customised with a High-Rack optic to achieve the recommended lux levels of 200 with high uniformity in each area. 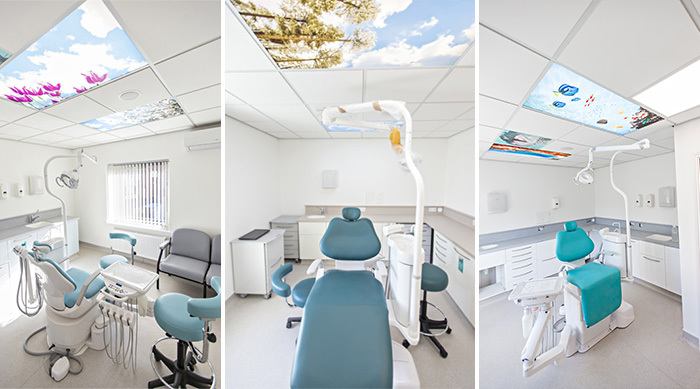 With this combination of options, the EPK delivered optimal task illumination, visual comfort and clarity for staff with full compliance to guidelines and statutory regulations. 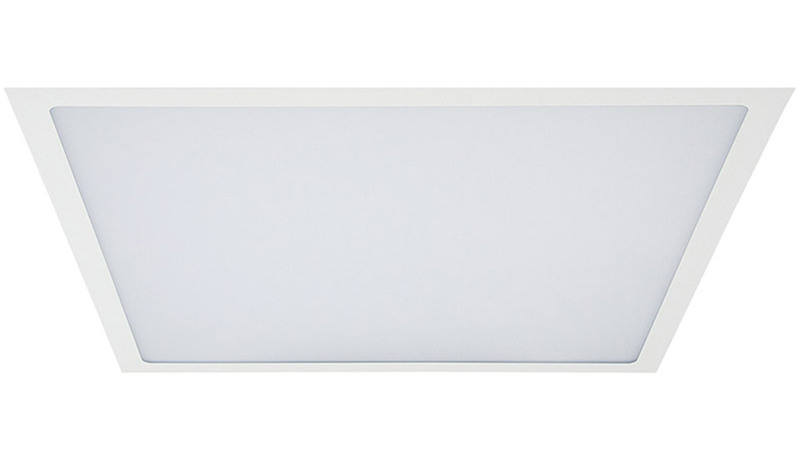 The EPK LED offers flexible lighting controls with a wide range of integral and standalone sensors and compatibility with all mainstream digital and analogue dimming options. Sensors can be customised with a variety of lens types to provide the desired detection for different mounting heights of between 4 and 18m, (we only offer one lens, the open area type, with the EPK and the maximum mounting height is 7M) and offer functions such as: remote control programming, presence detection, daylight regulation (when paired with appropriate dimming controls), simple on /off and corridor mode. 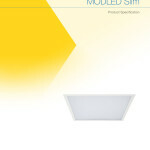 The luminaire ensured a time and cost-effective replacement of the existing fluorescent battens. The EPK simplified the refitting process with its matching footprint to that of typical T8 battens and its two-part construction, allowing the rear spine to be easily mounted and the gear tray snapped into place with a single motion. 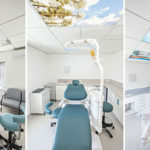 To further reduce installation times, the luminaire’s integral sensors only required live, earth and neutral connections, eliminating the need to modify external wiring or install a BUS system. 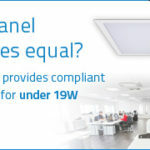 Both the Verteco and EcoPack LED ranges are available with integral three-hour emergency lighting in either standard, self-test or auto-test variants. With large lighting installations, automatic emergency testing economises on the time, money and inconvenience of manual testing procedures. LED indicators and user-friendly digital interfaces immediately signal any faults and help monitor battery life or general status efficiently, allowing luminaires to abide to BSEN 5266-1 regulations with precision, ease and additional peace of mind. 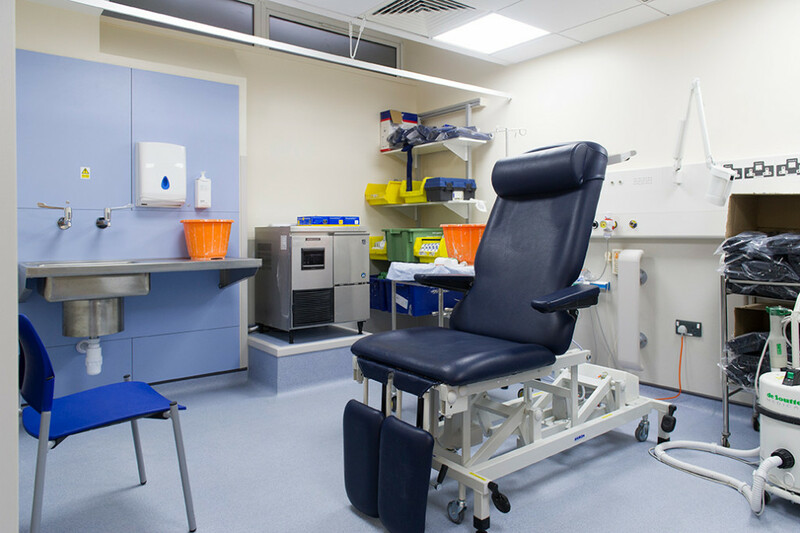 Incorporating automatic emergency functions greatly increases return on investment in the long-term because maintenance becomes highly coordinated, organised and cost-effective. 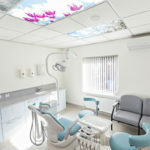 Dexeco completed the entire project within only six weeks of signing the contract. ROIs were improved at each stage of delivery, lowering the electrical load by 80% from 100 Kw/h to 20 Kw/h (including sensor control), reducing the total number of fittings from 430 to 380 (see Walsall site) without compromising on light levels or quality, and keeping installation and maintenance costs to a minimum. 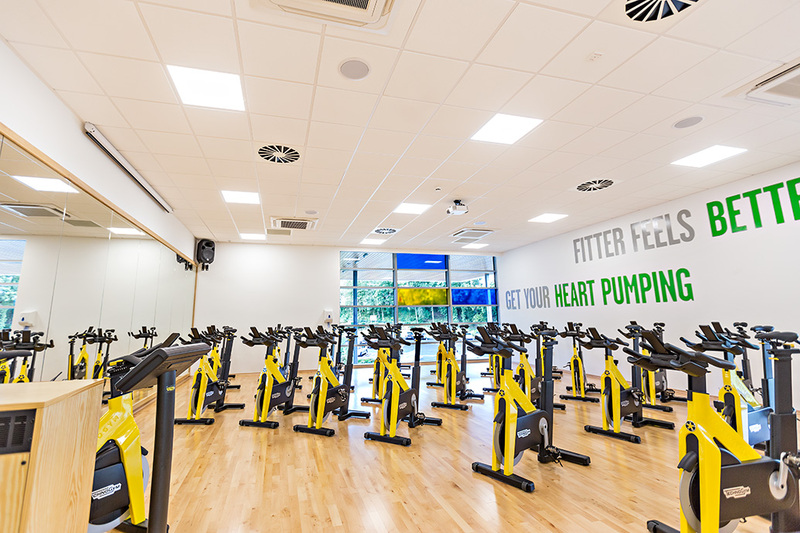 Vast savings in energy, maintenance and installation costs paired with tax benefits from ECA compliance allowed the installation’s payback period to be kept below 2 years. Beyond this point, all savings will only serve to increase One-Stop’s profit margins. 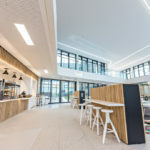 Following a thorough commissioning process which included a brief training session, the system has given One-Stop full ownership of the system, allowing staff to re-programme the lighting independently as and whenever they see fit, adapting to future changes in the company’s operations. Content correct at time of writing. Registered in England. Registration No. 6387560.